Comfortable dorms, clean hostel, sociable common area, great location very near the lake, would recommend. Amazing experience here!! The other guests made a really friendly, lovely atmosphere that was definitely helped by the staff. The staff are incredible here, really go above and beyond. The beds were super comfy and the rooms just the right temperature, the showers were clean and warm and when you walk out the doors and look up you see Mt Fuji! What more could ya need aha. Only stayed the one night but was an amazing time, definitely going back! 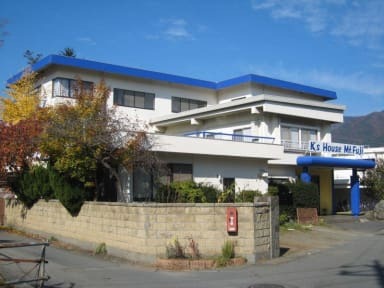 I love all the K’s houses in Japan! Would def recommend just booking all of them next time. Always not what you’re gonna get and it’s always good. Very good place to stay to explore Kawaguchiko area. Friendly and helpful staff. It's slightly away from the bus station. The hot water supply is not stable. It would become very cold while you are showering, not a pleasant experience. Overall a cleaner and neater place than I expected, but I suppose that's often true in Japan. A bit of a walk from Kawaguchiko station but nothing terrible. Overall very satisfied. The staff were great. All the K’s houses in Japan seemed to be a safe bet. Good value for money! 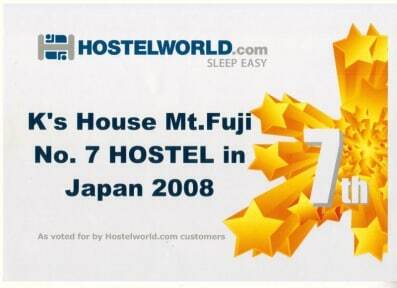 Really cosy hostel close to mount fuji and the 5 lakes with comfy beds and friendly helpful staff. No breakfast but great kitchen and supermarket close by. Not a social hostel at all maybe you could encourage group activities by getting solo travellers to plan hikes together? I would stay her again but only in a group. Really can’t get why it’s got such high reviews. The men’s toilet floors were often covered in urine. There are only five showers and six sinks for the whole building and it is big. There was snot on the men’s toilet wall since we got there which was never cleaned. Just generally a bit minging. Staff we friendly enough but not usually more than one there, which isn’t enough for the size of the place. Atmosphere, there wasn’t any. Very basic dorm. Location is decent though.